Giving the gift of a pet has been something our society romanticized. 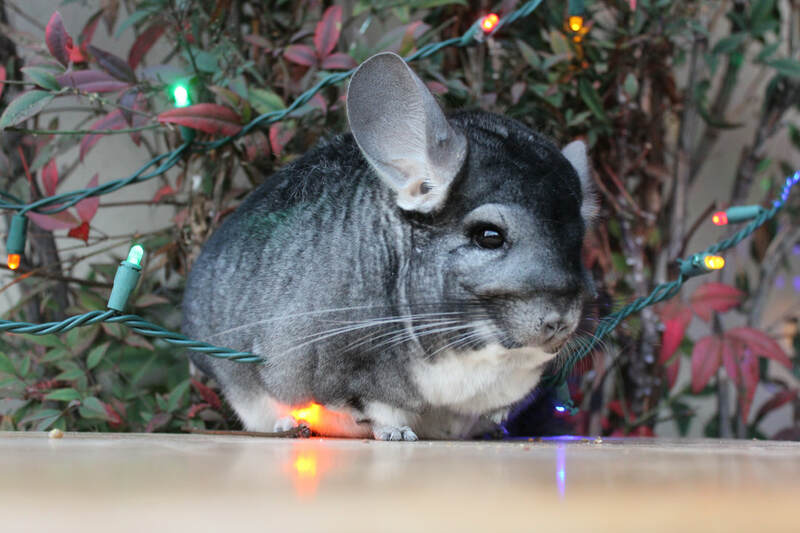 We're not saying DON'T give a Chinchilla or any other pet as a gift to someone you love. They are a truly wonderful gift to receive. We're saying do not give someone a gift they are unprepared to care for, whether it be financially, emotionally, or otherwise. When a parent gives a child a pet as a gift, they do it out of love. They want their child to be happy. We STRONGLY feel any pet given to a child as a gift should be considered a family pet where the entire family takes part in the animal's care and is responsible as a unit.
" My child didn't clean the cage. " "We don't have time to care for him/her/them." " We can't afford to care for him/her/them. " " I'm going to collage. " - Live 15-25 years! They will need you to be committed to them for many years. - Vet visits are $50.00 just to walk in. Most average at about $150 - $200 by the time they walk out the door. - They are crepuscular Rodents ( Active at Dawn and Dusk ). - Your electric bill in the summer will shoot up, your home, or at least the room the Chinchilla is in, cannot exceed 75 degrees. They will have a heat stroke, and die. - Your room and surrounding areas containing the animal will be coated in a fine layer of dust. Chinchillas NEED to take a dust bath every so often for their hygiene. - They do not generally like to be handled, held, cuddled, or even touched. Think of them like fish in a tank. - They CAN bite and when threatened they spray urine at you. When frightened they bark loudly. ( * ) Supplies can be bought in bulk at local feed stores for a substantial difference in price per unit. Chinchillas are wonderful pets though if you can accept and learn to adjust to their needs. I made so many mistakes with my first chinchillas, which were gifts to me when I was 9 years old. My first animals were not fed the best diet, but I wasn't given the financial ability to choose their food. When they needed the vet, I was at the mercy of my parents. While I went through high school I got heavily into sports and neglected to care for them as well as I should have. I even considered joining the airfoce and surrendering them. I had a change of heart and made a complete turn around, but more often, people choose to surrender their pets rather than try to make the necessary changes to keep them in their home. Christmas isn't even here yet, and I have had 5 chinchillas pop up in my email with owners who need to surrender them because they no longer have the time to give them.